Here’s a quote from a book written in 1910 by Wallace D. Wattles, The Science of Getting Rich. It’s available for free on Google Books. Wattles was one of the first to practice and write about creative visualization. This technique, frequently used by athletes to enhance performance, is a practice of seeking to affect the outer world by changing one’s thoughts and expectations. Group 4 received 25% physical training with 75% mental training. The fourth group demonstrated the best performance results, indicating that certain types of mental training, such as evoking mental images of successful performance, act as a prelude to muscular impulses. It has since become widely accepted in neuroscience and sports psychology that mental training causes the body to respond favorably to achieve consciously desired outcomes. As you look forward to 2013, take a page out of sports psychology – envision your best year ever. Let your imagination create a vision of success in as much glorious detail as possible, then visualize it over and over again with all of your senses (what do you see? what do you feel? what do you hear? what does it smell like?). Don’t forget to imagine the after party! What’s your reward when you’ve achieved financial success and abundance? 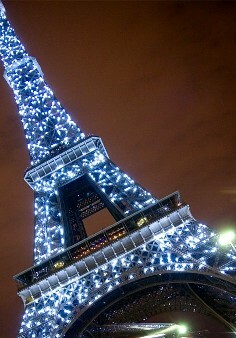 A trip to Paris? Sailing in the Caribbean? Sales executives have long known that sales incentives significantly boost sales revenue. Create your own sales incentive – then imagine the experience in glorious detail. One of my clients imagines her trip to Paris at the end of 2013 when she’s launched her new business and hit her financial goals. She is in a boat floating on the Seine near the Eiffel tower. She is wearing an evening gown, and her husband a tuxedo. They are sipping champagne and toasting a year of unprecedented success as they watch the lights on the Eiffel tower change colors. Nice! I want pictures of the evening gown and tux moment on the Seine!